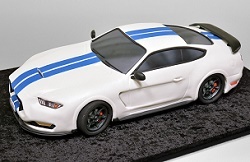 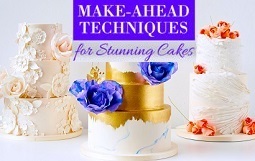 Fondant or sugarpaste is a terrific medium for creating fabric effects on cakes, especially in wedding cake designs based on elements of a bride’s wedding dress. 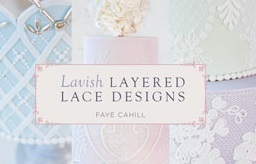 Draped and ruched fabric effects, fabric bows, sashes, lace effects, pleated fabric and smocking can all be created quite easily. 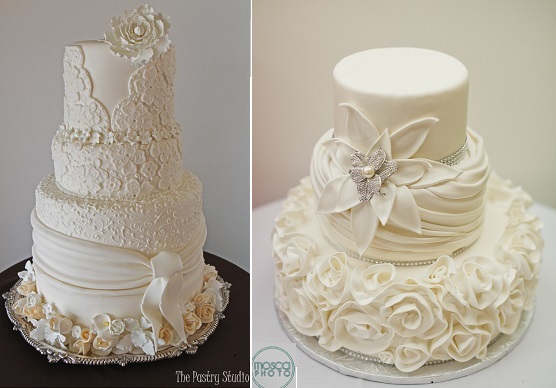 We have two beautiful examples above – a lace effect wedding cake by The Pastry Studio (left) with scallopped edging and a softly draped sash, and fabric effect roses with draping in the design above right (image right by Mosca Studio). 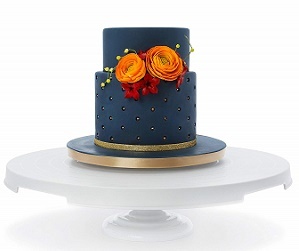 Priya Maclure of Sugar Pot has created an elegant fabric effect wedding cake design below with artfully designed pleating and fabric effect corsages. 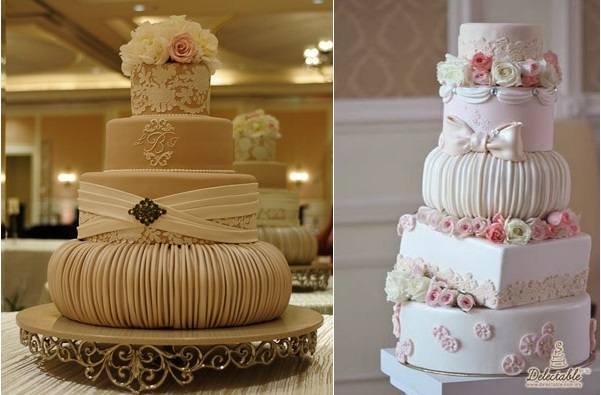 Western Australia’s De La Rosa Cupcakes have created a stunning vintage style wedding cake below incorporating exquisite pleated details. 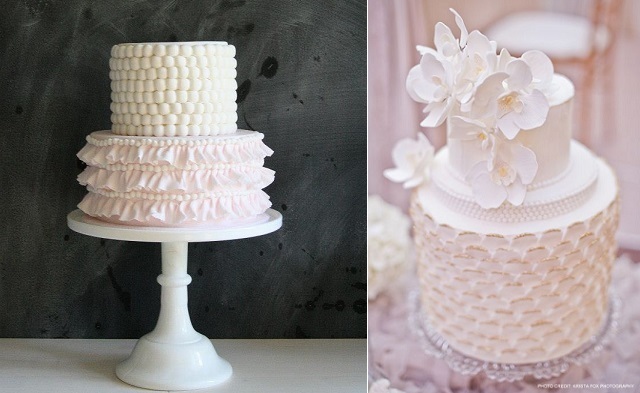 (For more on pleated cake designs, see our earlier feature here: Pleated Cake Designs). 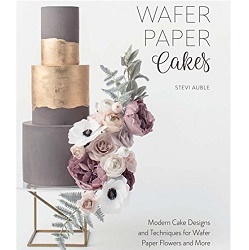 The Cake Whisperer in Canada designs some of the most amazing couture wedding cakes, including the lace effect wedding cake below with a luxe fabric effect bow. 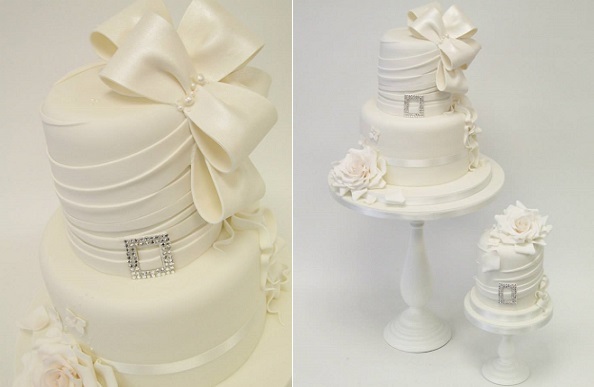 The UK’s Emma Jayne Cake Design is renowned for her ability to incorporate elements of the bride’s gown in her wedding cake designs including the beautiful design below with ruched fabric effect and statement bow. 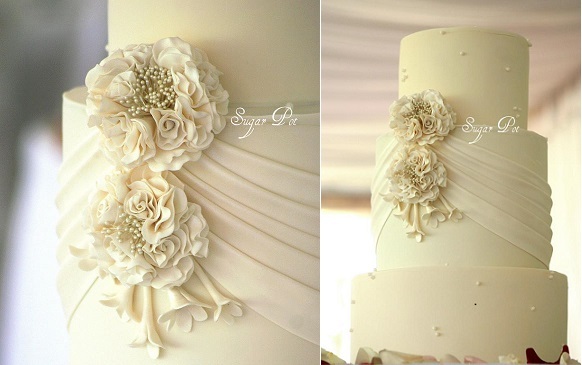 A second outstanding fabric effect wedding cake by The Cake Whisperer with intricately embossed ruching effects and soft fabric effect rose ruffles. 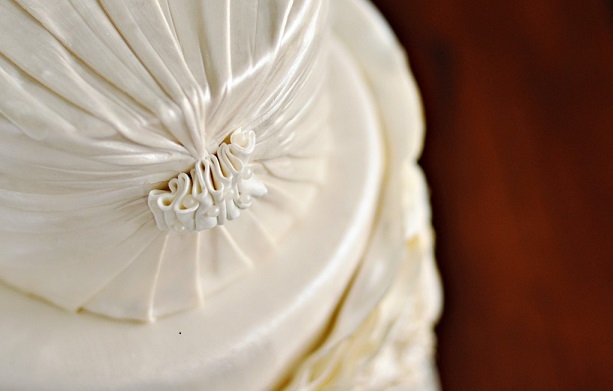 A beautiful example below of pleated detailing embossed with exquisite lace effects by Barney’s Bakery, London. 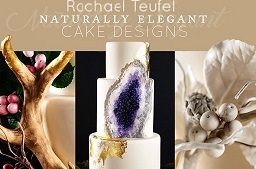 Planet Cake, Australia have created the terrific bridal design below with a couture gown design influence. 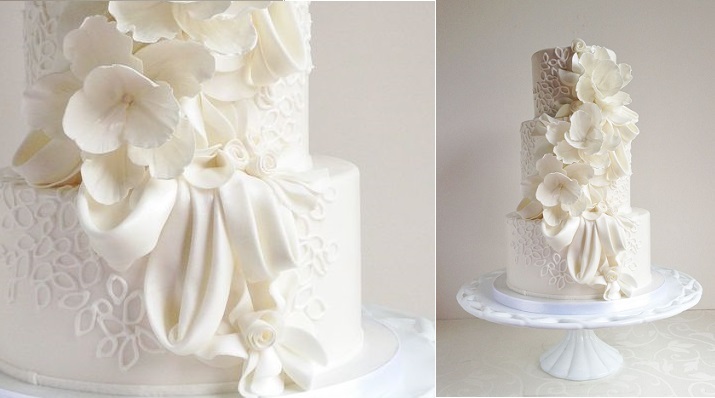 A beautifully pleated fabric effect wedding cake in fondant via Sweetapolita (created as part of a Cake Couture class with The Caketress). 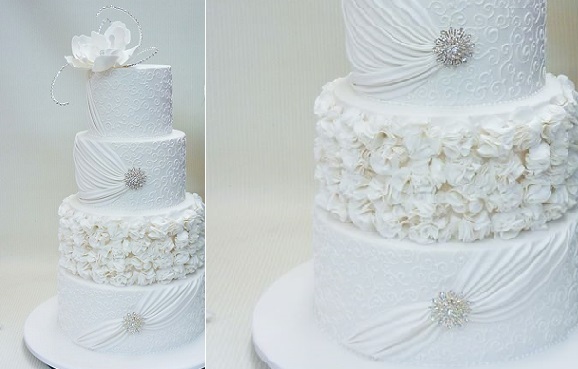 Sugar Ruffles, UK created their stunning ivory fabric effect wedding cake design below left using a billowing technique, for which you’ll find a tutorial here by Sharon Bond: fondant billowing tutorial. 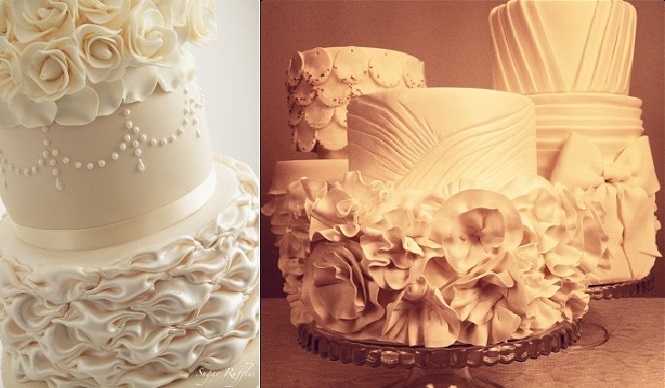 To the right, Style Sweet CA have designed a collection of fabric effect wedding cakes featuring fondant ruching, pleating and ruffles in a beautiful trio below. 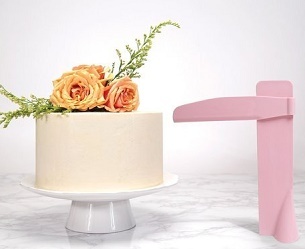 Sweet Bloom Cakes, Australia – one of the most innovative cake designers of the moment – have designed the unique two tier cake below featuring soft pink gathered pleating for a beautiful effect. 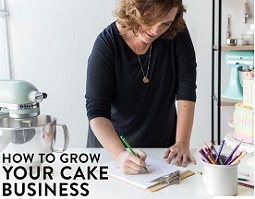 To the right, we have a wonderfully “smocked” cake design by the uber talented Connie Cupcake Luxury Cakes (image by Krista Fox Photography). 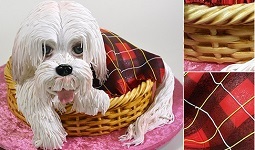 You’ll find directions here on creating smocking effects in fondant: fondant smocking tutorial. 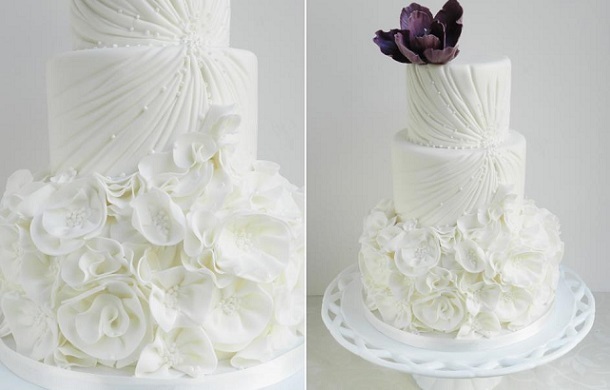 More ruching effects created with fondant on round tiers with cakes by Mercedes Strachwsky, left and by Delectable by Su right. 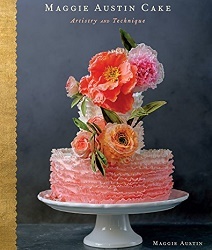 You’ll find a tutorial here from The Sugar Suite Blog: fondant ruching tutorial. 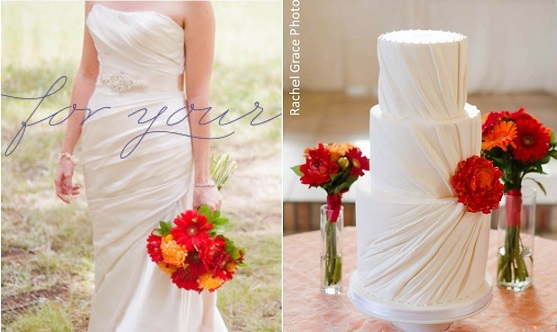 Coming Up Next: More fabric effects in our Wednesday feature on Wedding Dress Inspired Cakes. 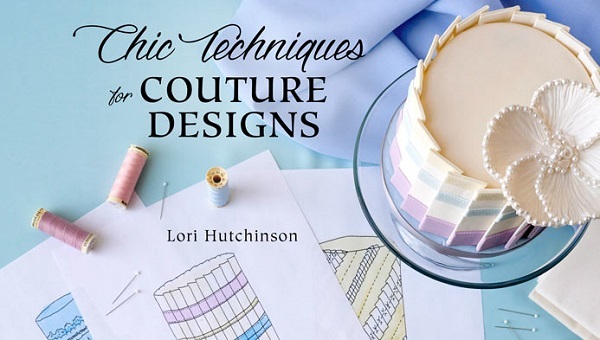 Learn the secrets of translating haute couture into cake design with The Caketress, Lori Hutchinson in her latest class on Craftsy: Chic Techniques for Couture Designs. 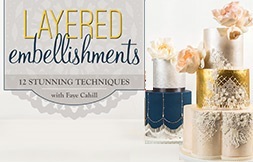 For more on wedding cake decorating with fondant fabric effects, you’ll find an excellent Craftsy class here by Marsha Winbeckler: Fondant Drapes, Pleats, and Ruffles Tutorial. 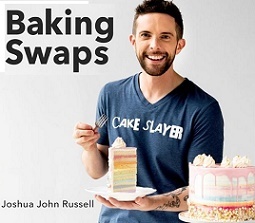 Check out Jessica Harris’ online textured effects tutorial to learn how to create the four designs below plus lots more textured effects in fondant. 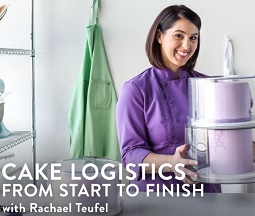 Find out more here: Elegant Techniques with Jessica Harris. 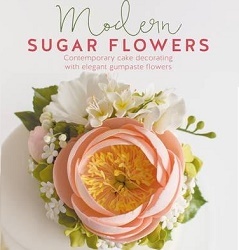 For more inspiration and design trends, see our Facebook page.